In this episode, Scott and Tracey finally answer Disney’s marketing department’s question of what will you celebrate this year! They have chosen to celebrate the Haunted Mansion’s 40th anniversary. They take a look back at the history of the attraction, do a compare and contrast of the Disneyland and Walt Disney World versions and take a look at the Haunted Mansion Holiday. They also continue the Holidays Around the World Throughout the Year with a visit to the Morocco Pavilion. 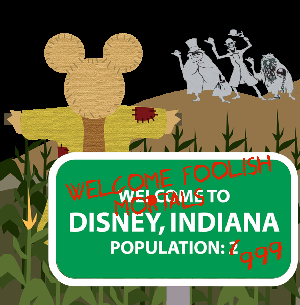 Welcome to Disney, Indiana . . . Foolish Mortals! This entry was posted in Holidays Around the World and tagged Haunted Mansion, Holidays Around the World. Bookmark the permalink.